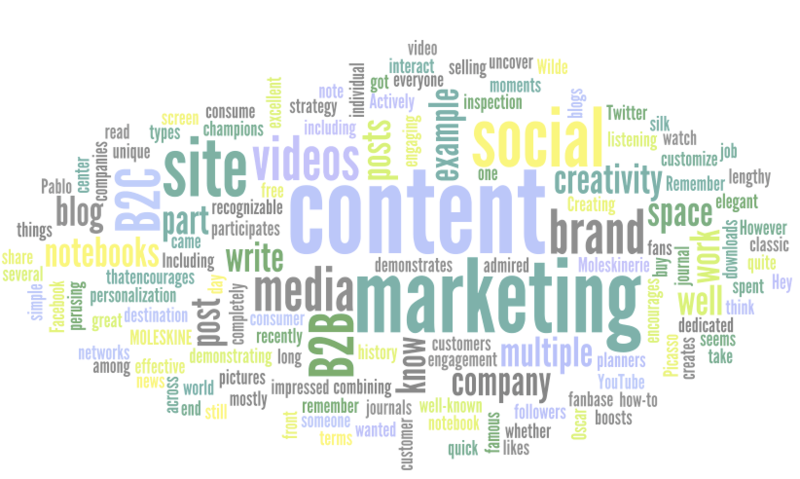 By now you’ve likely overheard the buzz that is “content marketing.” Sure, you know that frequent, relevant, and quality content can help attract customers to your website or blog, but do you really understand what content marketing is and how to employ your strategy effectively? If you’re just starting out, it’s good to think outside the blog for a bit. While a blog is the backbone of your overall strategy, there are a variety of other types of content that you can share socially (and hopefully virally) to support your blog and website. Infographics: Inherently more digestible than a long essay or white paper, infographics are a concise and attractive way to share information. For instance, instead of posting a lengthy article on the 10 Steps to Renovating Your Apartment, create an infographic with smaller chunks of content interspersed with helpful graphics, statistics, and diagrams. This type of content is much more likely to be shared than a lengthy piece of prose. Video: There’s just something about videos; not only do they tend to grab attention on social media platforms, but they also give consumers a visual alternative to learning or digesting content. Some content lends itself much better to the video format than others; how-tos, for example, are great fodder for a video blog or post. E-Book: Maybe you’ve got a whole lot of expertise to share. If that’s the case, create an e-book on your subject of expertise. You could charge for the download, but we’d recommend instead capturing contact information from the customer (or potential customer) to create a lead-generation system. Not only will this establish you as a subject-matter expert, but your client will be more inclined to remember your business when and if they need your services. Repackage: Keeping your content fresh and new on a regular basis can be a challenge. That’s where repackaging material can be a lifesaving strategy. If you generated a report last year that attracted a lot of viewers, make that an annual (or even monthly) feature. Update past blog posts or articles with fresh information to create a current post that requires minimal effort. What’s your favorite way to consume content?